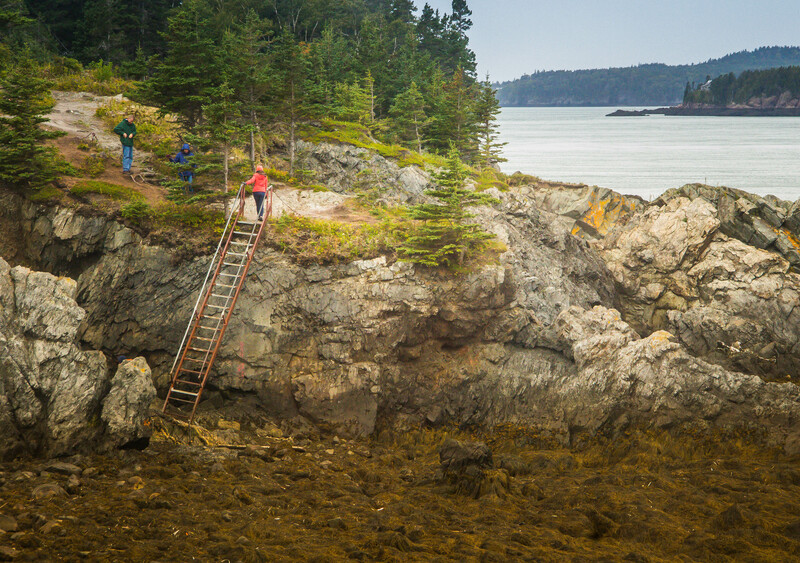 Our Northernmost goal this year was Campobello Island International Park off the extreme east coast of Maine. 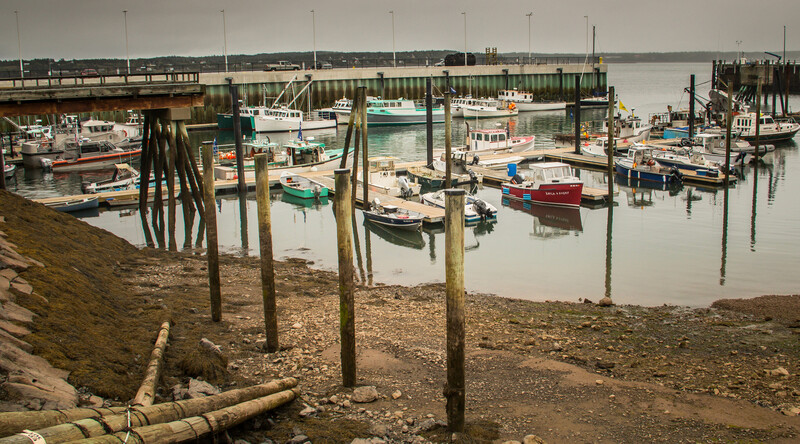 Campobello is actually located in the Canadian Province of New Brunswick. In Roosevelts time the nearest ferry was from Lubec Maine. Now the bridge from Lubec connects the island with the US. Due to some ferry closures the only way to reach the island is through Maine. 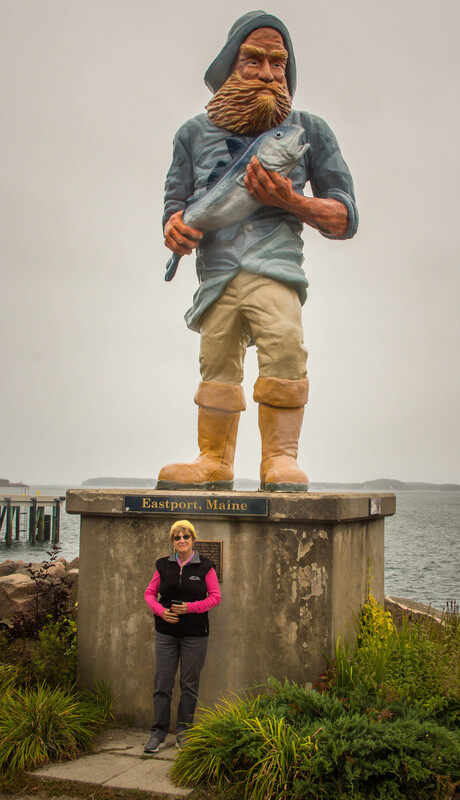 So, much like Hyder Alaska, Campobello residents must have a passport to visit the rest of their own country. 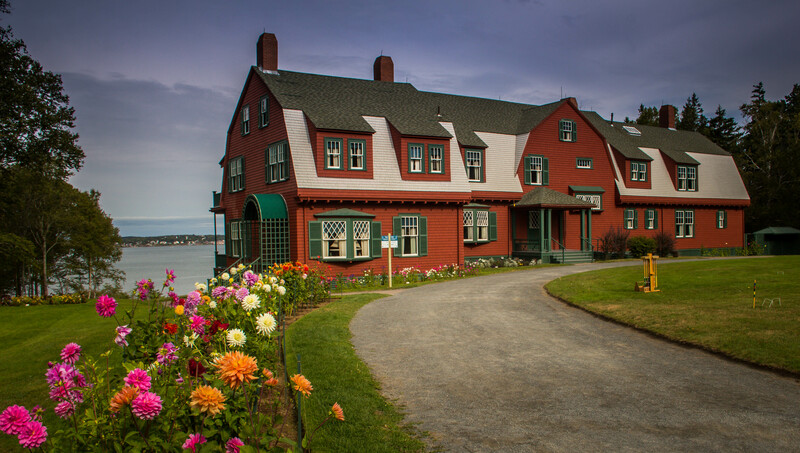 Campobello is best known as the vacation home of Franklin Delano Roosevelt and his family. The Roosevelts called it the Beloved Island. FDR swam, sailed and enjoyed family time on the island. The home is preserved almost exactly as it was in 1920. There was no electricity or telephone. It was here that FDR came down with polio when he was 39 years old. 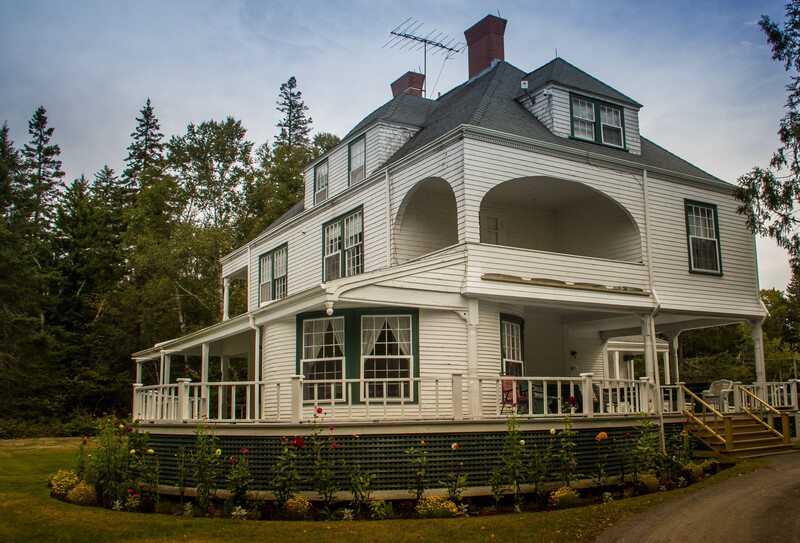 The first thing to do at Campobello is have “Tea with Eleanor”. Tea is served at least twice per day and the first tea is free if you arrive early enough to book a seat. 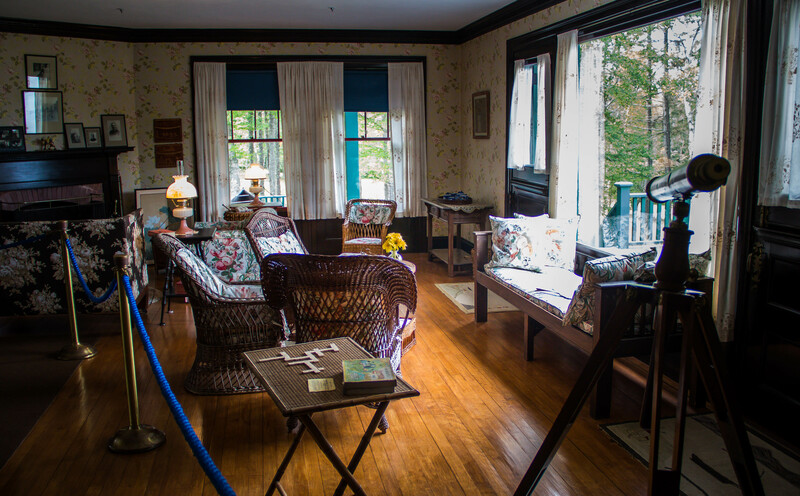 Tea is served in the Wells-Shober Cottage a short walk from the Visitors Center. 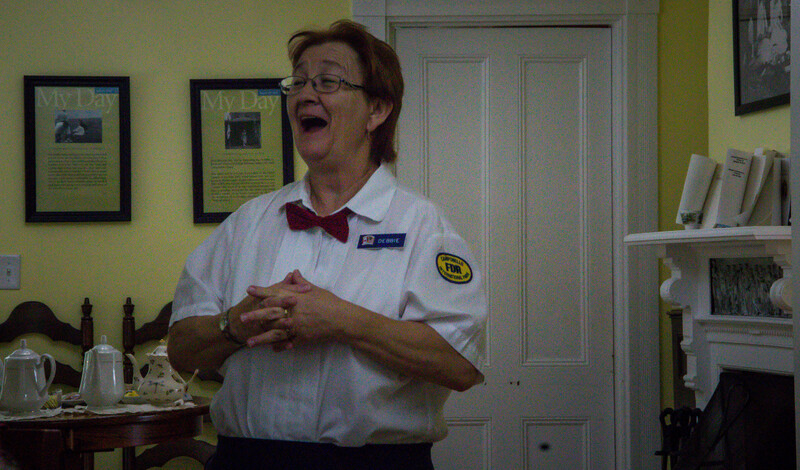 It includes not only tea and ginger cookies but a detailed presentation by 2 women about Eleanor Roosevelt, a truly extraordinary woman. Plan on an hour. The park also offers home tours and guided walks of the area. There are carriage roads to many points of interest. 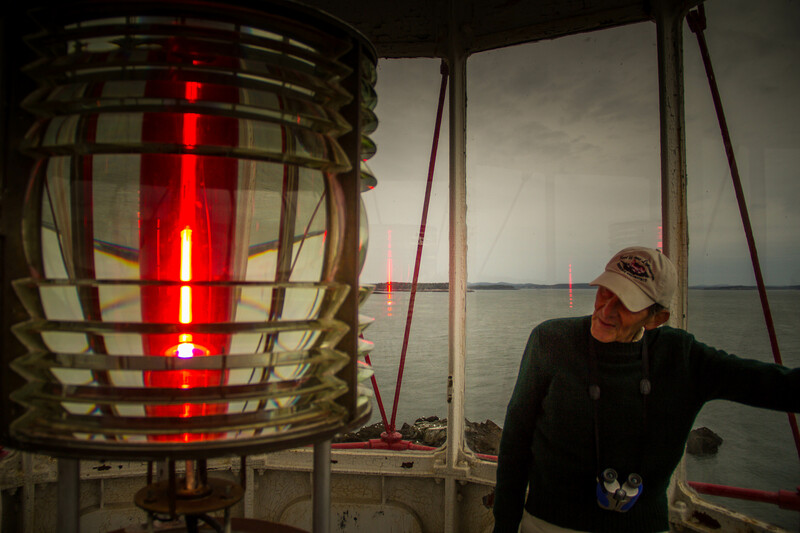 Campobello Island is home to East Quoddy Lighthouse. It sits on the northeastern end of the island and is accessible for walkers and occasional tours at or near low tide. We were lucky enough to arrive in time to hike and a volunteer was giving tours all the way to the top. We kept an eye on the time as the tide can rise up to 5 feet per hour. 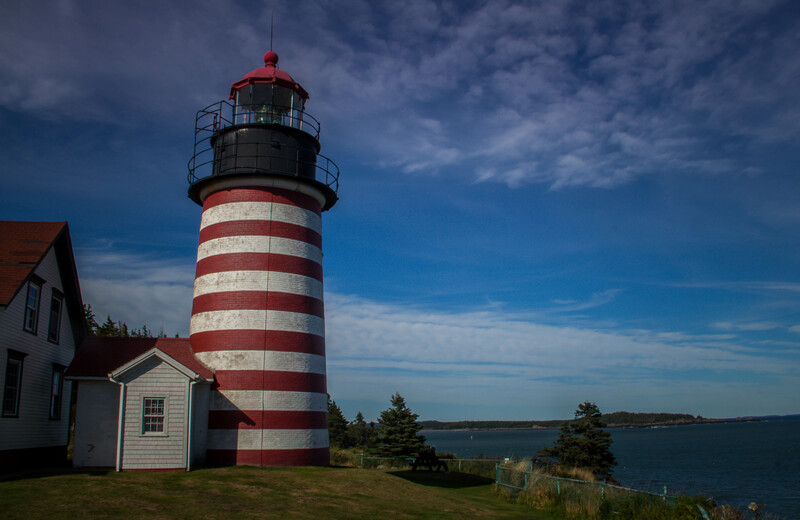 Lubec is the Maine town nearest Campobello and the easternmost town in the United States. West Quoddy Lighthouse stands nearby. Eastport sits in Passamaquoddy Bay. It was the commercial center of the area in the 1920s and today. The Roosevelts got most of their supplies from here. Its another Maine city with huge 25 foot tides. In 1833 it was the second largest trading port in the United States behind New York City. Back in the day it was a big cod fishing port. Sardine packing was big business here and as an ice-free year round port potatoes and hay were shipped. Though much has declined fishing and tourism are primary today. 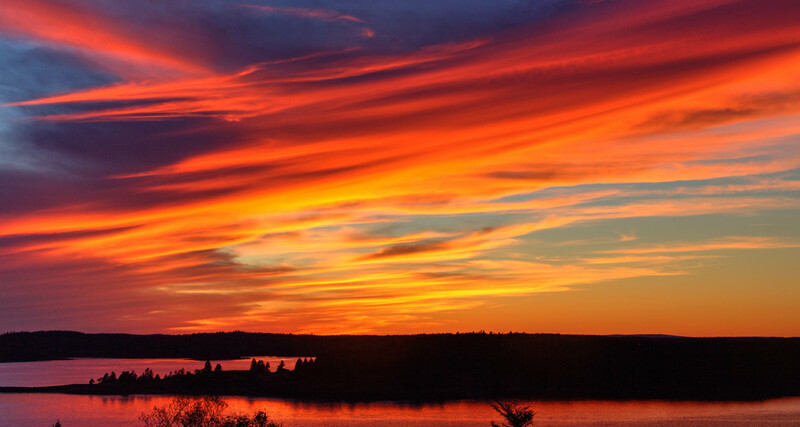 We were surprised to learn that Campobello is considered the second best place to view sunset in the US. #1 is Hawaii. 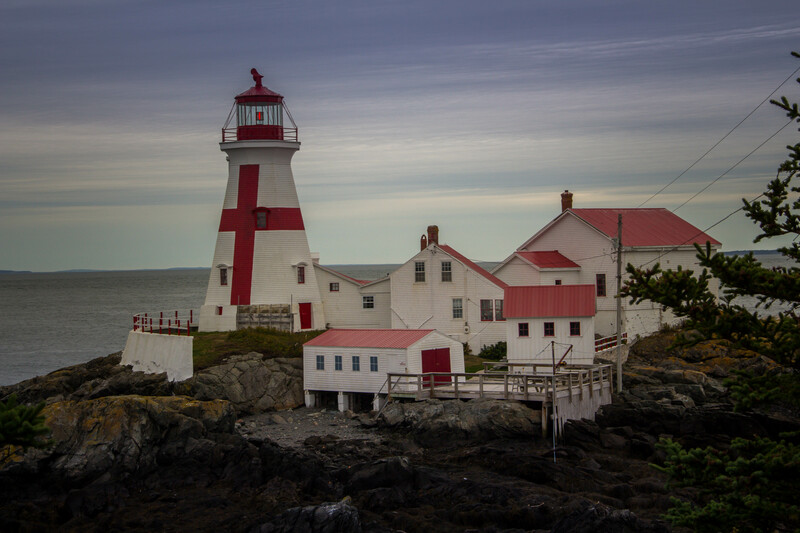 This entry was posted in Canada, Maine, New Brunswick, RV Travel and tagged Campobello International Park, East Quoddy Lighthouse, Eastport Maine, Franklin D. Roosevelt, Lubec Maine, St. Croix National Historic Site, West Quoddy Lighthouse. Bookmark the permalink. Beautiful Photos! We saw sunrise in Eastport several years ago! The tides are amazing! Safe Travels! Reliving our trip through your eyes. Thanks.